The Key to Classic Designs! These vintagey-antiquey keys are a fair size - dare we say "lifesize" and would make a cool pendant on a chain, or paired with some stones or maybe a locket (we have just one of those left!) 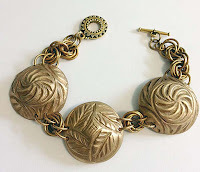 or something else from our page of Vintage Style. 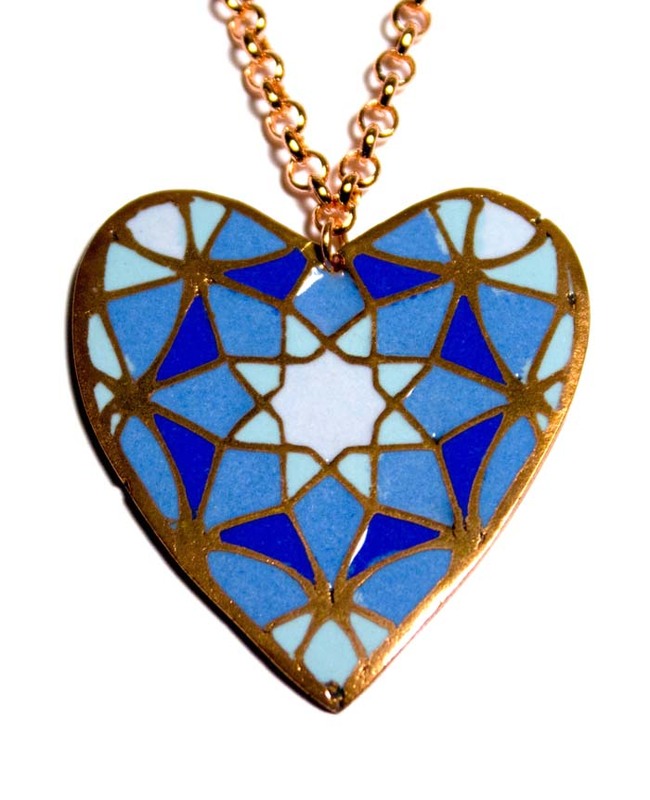 Segueing directly into stones ... we got more of these lovely mounted stone pendants and links. Most of these are small enough to be used as earrings - albeit biggish ones, or as a rather dainty pendant. Lapis, Rose Quartz, Turquoise and others! And, of course - nothing says classic elegance like pearls. This fresh batch of fresh-water pearls can be as quietly elegant and timeless as you like. 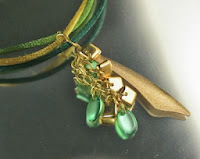 Or, you can pair them with new and interesting materials and make something funky and avant garde. Your choice! In particular - you could consider these near-round Cream Rose pearls which each have a few pearls on the strand that have been drilled twice, on intersecting angles. Just think of the design possibilities! So check out all the new items here or click on a link above! Go forth and create and be happy! Where do you hide your beads? Are you right up front about your purchases, or do you need to smuggle them into the house under the cover of darkness (even from yourself)? An awful lot will fit into the bottom of your purse, or you could even hide them in a grocery bag. It's not something to be ashamed of so stand up, be proud, and own your craft! You need it.....you want it.....and you deserve it!!! True confession time! Only my seed bead stash is organized to my satisfaction (we won't discuss the state of the rest of my beads), and that is sometimes questionable! I started out with chocolate, biscuit and shoe boxes, graduated to clear mason jars and dollar store containers, and finally a 10-drawer storage unit, purchased with a 50% off coupon from the local craft store. Is it perfect? No, but at least I can find stuff! I organize my seed beads by size and type, with a drawer allocated to each category. Size 11's are sorted into two drawers, with blue/greens in one (because I love them the most), and all the other colours in the second. The remaining drawers are allocated as follows: 8's & 6's, 15's, bugles, Delicas & 2-hole Czech beads (I don't know why I paired these together, but I did), miscellaneous specialty beads/mixes/bead soups (including triangles, cubes, drops, hexes, etc. 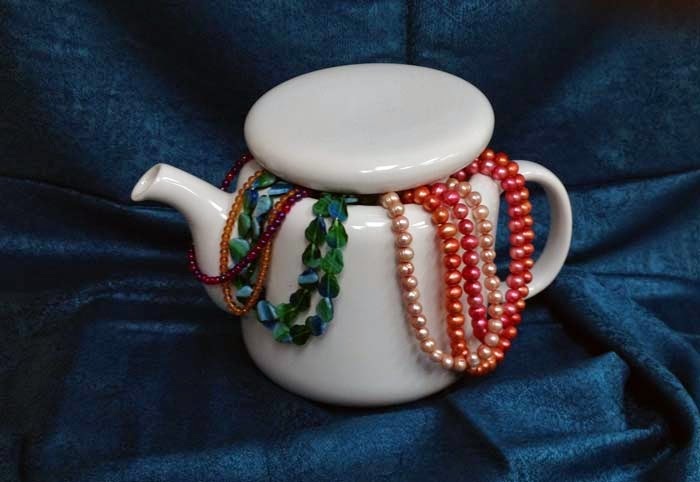 ), and three drawers for loose beads, pearls, charms and stones. This storage unit is bursting at the seams! I need a new one, but really don't have the space. What to do, what to do? I'd die for a vintage map or drafting cabinet, but I'm afraid that I'll need to make do with another trip to Ikea. These units look good! I already own one of the red ones, but it's currently filled with other craft supplies. Before I buy anything else, I really do need to clean out the studio (spare bedroom without a bed). This was previously allocated to sewing, but I admit that I've been neglecting that particular obsession. I have several perfectly serviceable storage units, in need of a good purge! If I cleaned them out, I would have room....wait for it....to put away all of my beads!!!! Why do I need vintage waistband elastic? Do I ever intend to make anything with an elastic waist? Nope, so why am I keeping it? I guess that storage is in the eye of the beholder. Whatever works is okay, and you'd be surprised at how much space is available, after a little organizing. I plan to make a date with myself for a little spring-cleaning. It's either that or rent a backhoe!!! How about you? Any tips to share? You'll love our April classes! 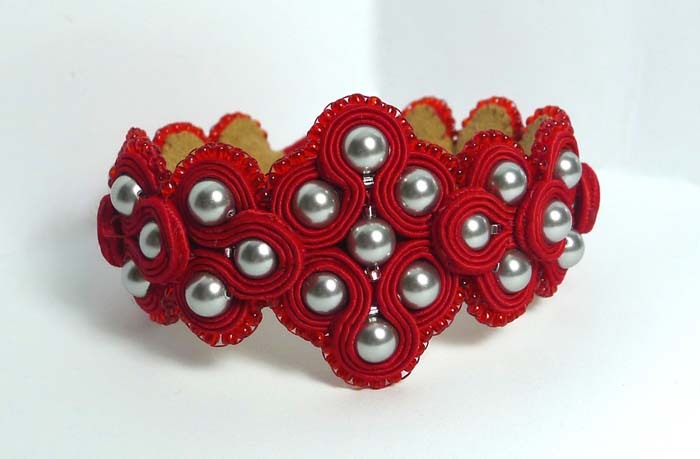 You won't be an April Fool with a BeadFX class! Our instructors are knowledgeable and creative and know how to make a class fun and interesting. We have NEW classes in the first half of April. 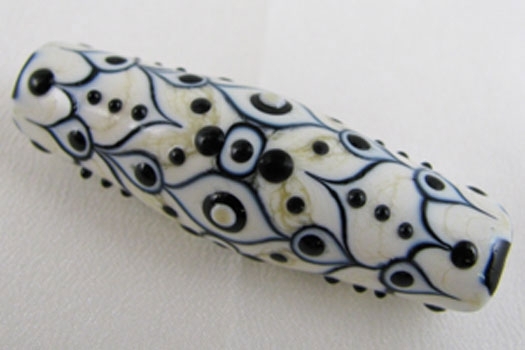 Lampworkers will love Kim Fields' class where you will be learn how to make sculptural beads. If you've wondered about how to stamp, you'll want to take Kelly Garland's new class. 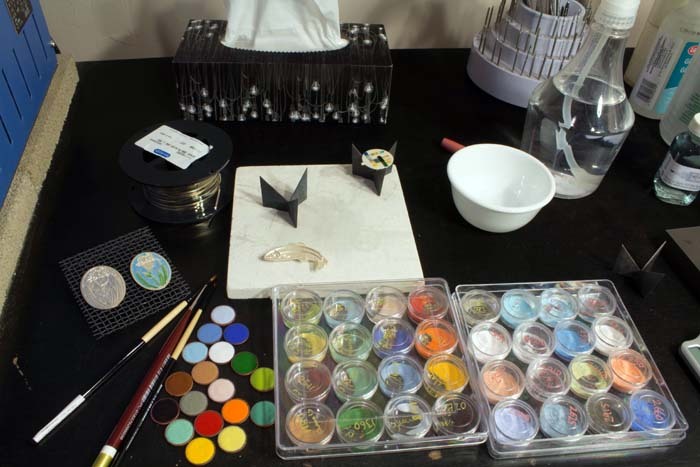 Christine Woollacott is helping you take your kiln enamelling skills further by using Prometheus metal clay as your base in a two-day class. 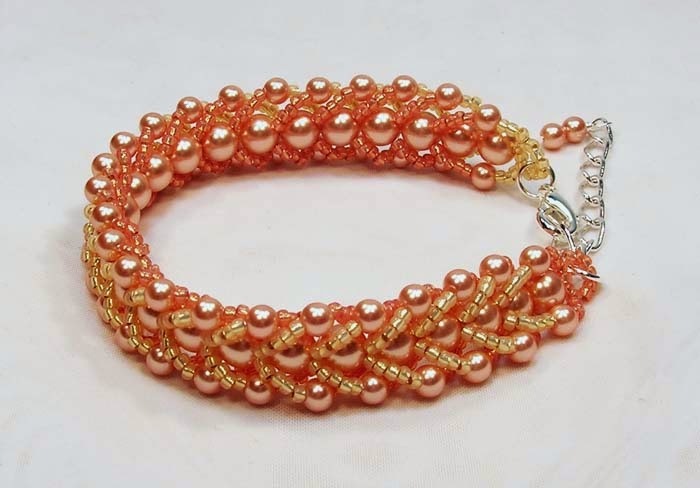 Beaders will enjoy learning from Pauline Peskoff and learn how to use SuperDuos to create a beautiful bracelet and earrings set. 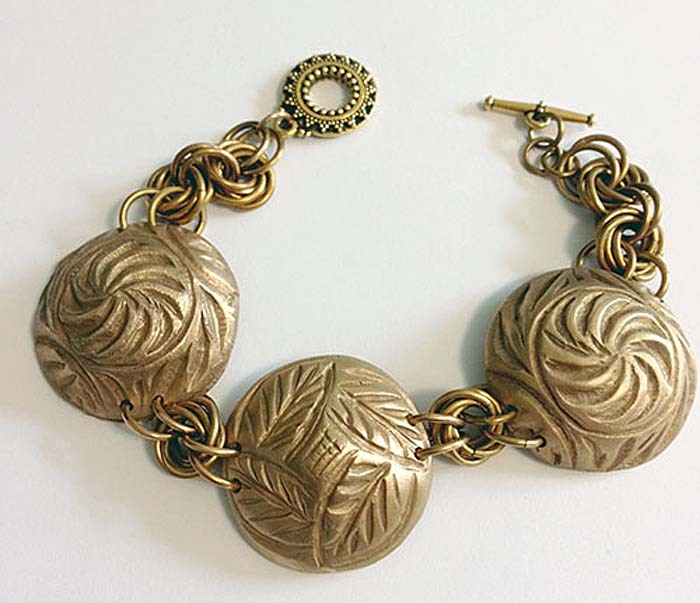 Sue Henry brings you a new project using Prometheus Bronze metal clay inspired by the Scottish Highlands! 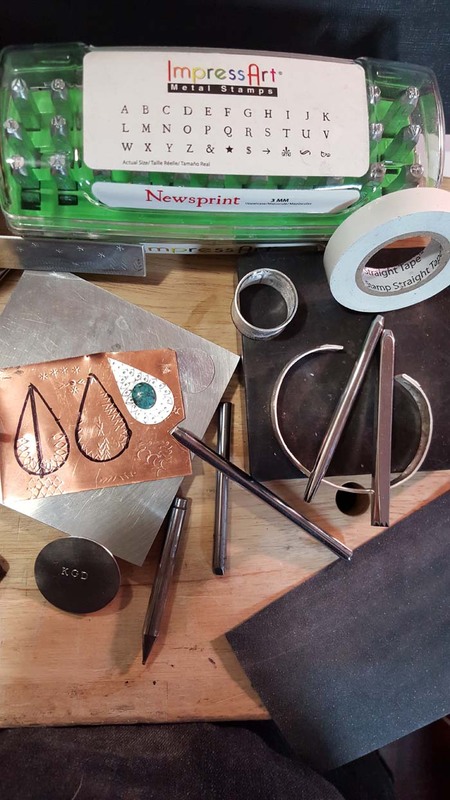 And in case you didn't get the chance to take the class before, we have lots of encore classes including an intro soldering class with Iris Rogers Melamed. 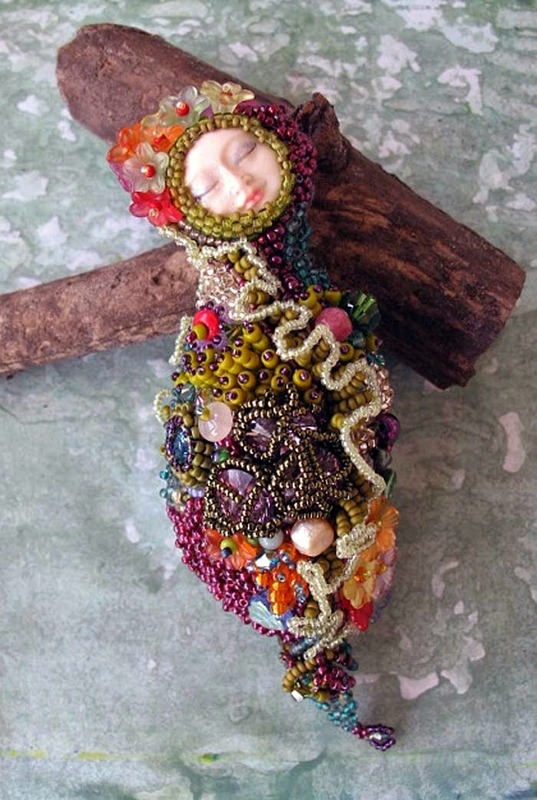 Seedbeaders will be have fun with Anne Marie Desaulniers while learning how to do an intuitive beaded art doll. 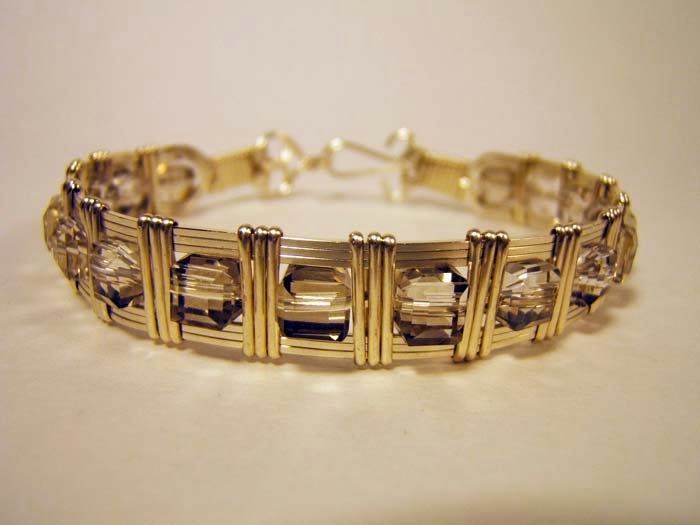 Pamela Kearns will teach you how to do an elegant and reversible bracelet using the easy-to-do flat spiral stitch. 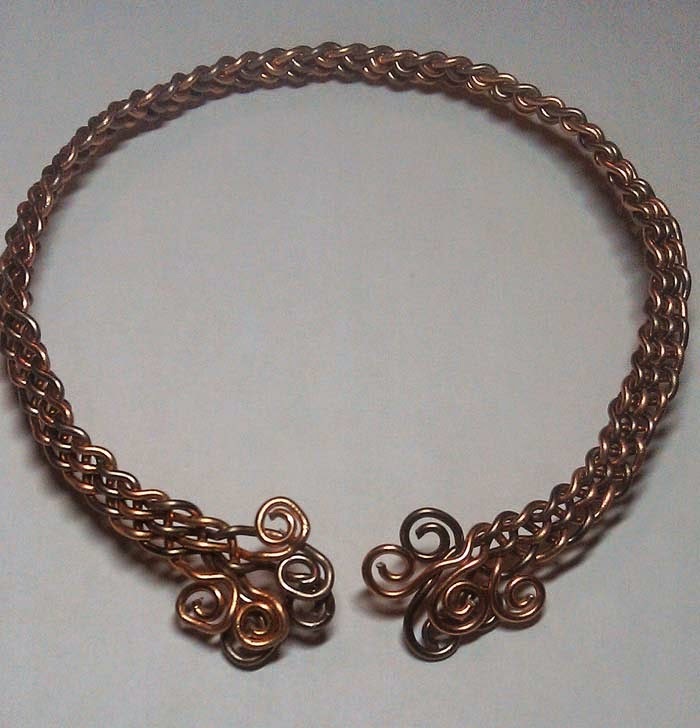 And there are still more classes in other jewellery mediums - lampworking, knotting, soutache, metal, and wirework! Complete information about all classes and open sessions are on our website. Click on 'Classes' and follow the links to the April calendar. With the last few days being cold, rainy and icy, I haven't been in the brightest of spirits. I was upset with Mother Nature for giving me a warm taste of Spring, then to turn around and take it back so suddenly. I am already missing the warm rays of sunshine licking at my face, rubber boots squelching in the mud as the earth begins to thaw. What happened to make Mother Nature so angry to start spewing cold winds and icy droplets? I may not be able to find the answer, but I wish to present this necklace as a peace offering and to let Spring come home! Do you want to help by making one too? 1) Cut approximately 1 foot of Softflex. Crimp one end by flattening the crimp with chain nose or flat nose pliers. String on about 5 size 11/0's. 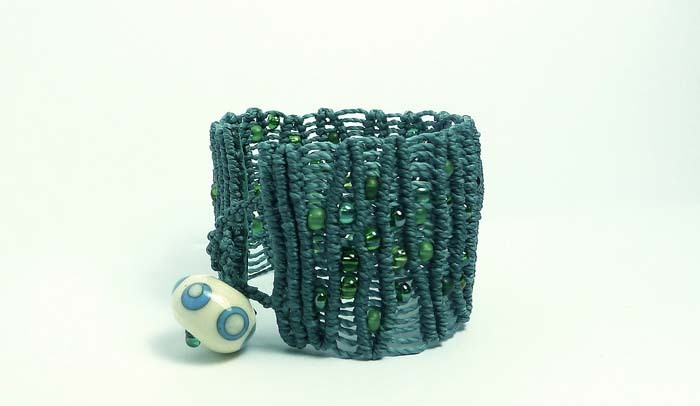 I used a few from my stash of beads in a colour that matched my design. I did this to avoid the tumbled nuggets from bumping the donuts, when they are attached to the ring part of the toggle clasp. String on a heishi spacer, or else the larger holes in the nuggets will eat your seedbeads. Continue stringing with a tumbled nugget, alternating with the spacer, making sure to end with a spacer and 5 more 11/0's. I used a total of 22 nuggets and 23 heishi spacers. Crimp the other end and this strand is complete. 2) Attach one end of the strand with a jumpring to the flower ring part of the toggle. Make sure to place your nosy posy link with the single spoke pointing up. Attach the other end of the strand to the bottom outside spoke on the link. 3) Cut another piece of Softflex and crimp one end. Place a donut, 1 heishi spacer, donut, 2 heishi spacers, donut, repeat. I used a total of 21 donuts and 30 heishi spacers. Crimp the stand closed. Attach one end to the flower ring part of the toggle and the other end to the bottom inside spoke of the nosy posy link. Almost done!! 4) Cut your chain into 2- 1foot pieces. Take 1piece of chain and using jumprings attach one end to the bar part of the toggle and the other to the empty spoke on the nosy posy link. 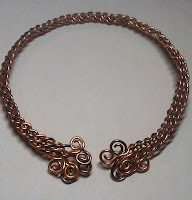 5) Using the other piece of chain, count 27 links and cut off the remainder. Attach one end of this piece to the flower ring part of the toggle and the other end to the same spoke as the tumbled nugget strand. All done for Mother Nature! I think we might have softened her up a bit. I felt a little tickle from the sun while I was out for a walk this weekend. Maybe with the leftover materials we can make her a matching set to really let the thaw out and bring Spring home!! I taught this class recently at Beadfx and West Toronto Beading Guild and it's a super simple and fun way to custom make pendants that reflect your unique style and special photos. You can use pre-made bezels of any size, shape, depth and metal. 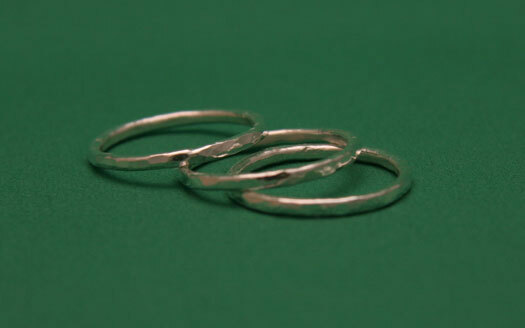 Or you can use bezel wire, a hole punch and some rivets and wire to make any shape to fill with clay. Here's a couple of examples I made while on my retreat in France this past fall. Thanks to Debbi Simon for sharing this technique! You can use Swarovski Ceralun, Crystal Clay or Apoxie Sculpt. I tend to use light colours as the image transfers better onto lighter coloured clay. Mix the amount you need as per manufacturer's instructions. Fill the bezel with clay and smooth it out. Cut out your image that's been printed using a laser printer (ink jet will NOT work) and place it image side down on the clay. Remember, if you're printing something with words or you don't want a reverse image of your mother's face, make sure you flip the image on your computer screen before you print it! 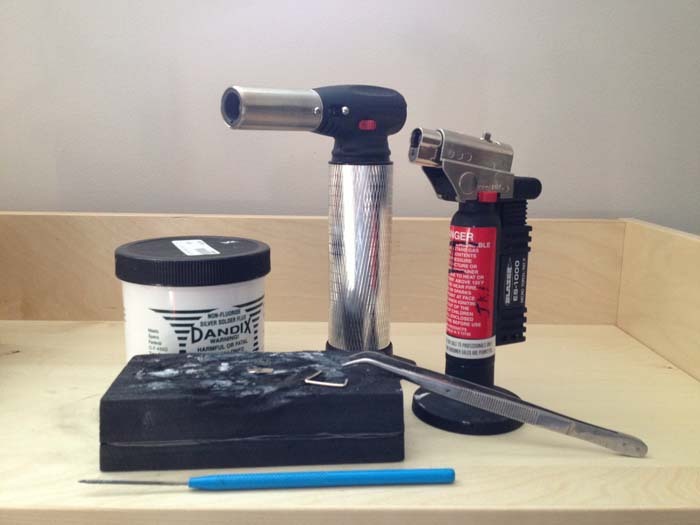 Make sure to burnish your paper image well and that you have contact between the paper and clay all over. After 24 hours, wet your finger and begin rubbing the paper image. You should find that the paper disintegrates and the ink remains behind, embedded in the dried clay. Let it dry and finish it with a coating of MagicGlos or paint with clear nail polish. while munching on your chocolate bunnies*. Never mind the eggs - Go trawling through our Manager Specials! Amber, Wood, and Vintage Goodies! Now that you've had a chance to get all stocked up with our big annual sale - you're probably thinking that you don't need any more beads. 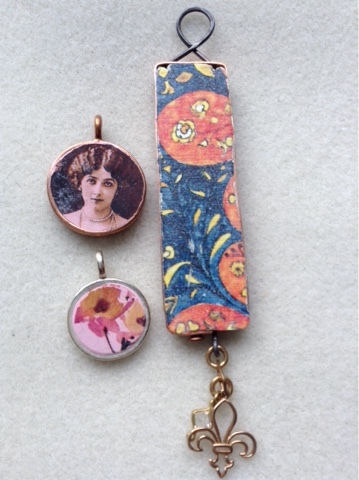 First up - I want to show you these pendants - I'm pretty excited about these. I was wandering through a tent at Tucson - in search of wonderful stuff to bring back for you - and I spotted these. At first - I thought they were embossed leather - but no - they are wood! Not just any wood, but cherry and walnut and maple and alder. Alder surprised me - because my father was a wood-worker, and he sneered at alder - called it a weed that was good for nothing. But the gal making these loves it - and you can see why. But then - she showed me something that blew my mind. A coloured version. Not complex stains or a lengthy process - she was colouring them with oil-based sharpies, just for fun and the look of them! They look great as is - or you can customize them! How cool is that! Two different shapes, four different woods to make different shades - from dark walnut to reddish cherry - or colour your own! Oh, and in other woody news - we restocked the lovely wooden beads that we had last year too. OK - on to the Amber! First up - a little background. We have been very reluctant to carry amber in the past - despite getting a lot of requests for it - because of the practice of adulteration. "Baltic Amber" is generally heavily processed - melted down and mixed with extenders and re-hardened and then shaped and formed. Historically - the most valuable amber was the clearest - because that was the hardest to find, and amber that had entire bugs and leaves trapped in it was also extremely valuable. Laws in the countries that produce a great deal of the Baltic amber permit very high percentages of additional material to be added and still label it as "Pure Amber." It's pretty easy to skim out the chunky bits, or trap modern insects in the resin from extinct trees if you re-melt the stuff and throw in handfuls of resin powder. At which point - I have personally always looked at it and said - "How is this different from buying plastic?" Especially the very clear beads. What is the point? OK - call me an amber snob - but there it is. So - when I came across a source selling Mexican amber - it stopped me dead in my tracks. Mexican amber comes from small deposits in the south end of Mexico - and is mined, polished, cut and drilled and strung on site by the locals. And it is as it comes out the ground. Clear, not clear. Inclusions and all. The colour of a warm sunny day. Light weight, warm to the touch, and as happy as a buzzing bee. The real deal. So - we are happy to bring to you this amber - real amber. Of course - real amber is a little more pricey than the mass-produced stuff. That's how it goes. But - less processing, less folks in the middle and more support for the people at the bottom. And a better item for you. Ok - so with those two items of awesomeness - what else could we possibly have to tempt you? Well - we have some stuff scooped from a vintage stash - some Mother of Pearl carved items and some one of a kind carved coral pieces. Kewel, eh? 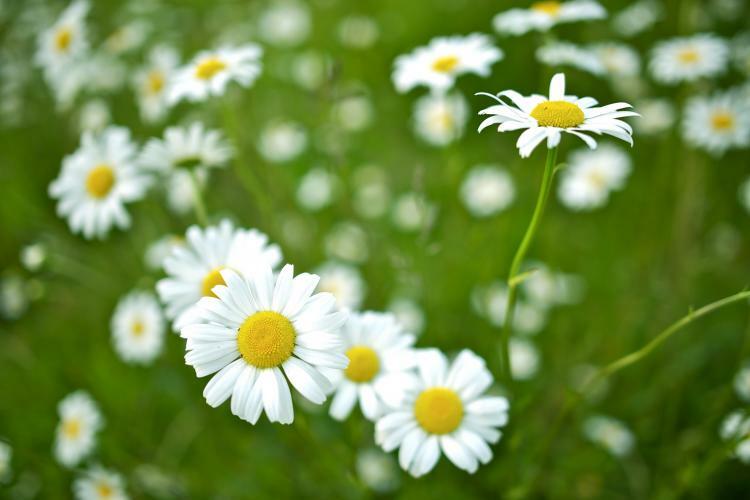 You'll love our April classes! No Fooling! Make your own earwires on the Now That's a Jig! What's on my bead mat today? How Much Difference Does a Bead Size Make? Mama Mia - Check out these Manager Specials!